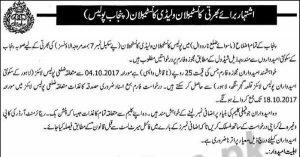 Punjab Police Jobs 2017: The Police Department in Punjab is inviting applications from eligible candidates for Constables and Lady Constables posts available in All districts of Punjab (except Narowal). Applicants are required to have at least Secondary certificate along with required physical requirements including Chest (For Male Only), Height, Running and age limit. 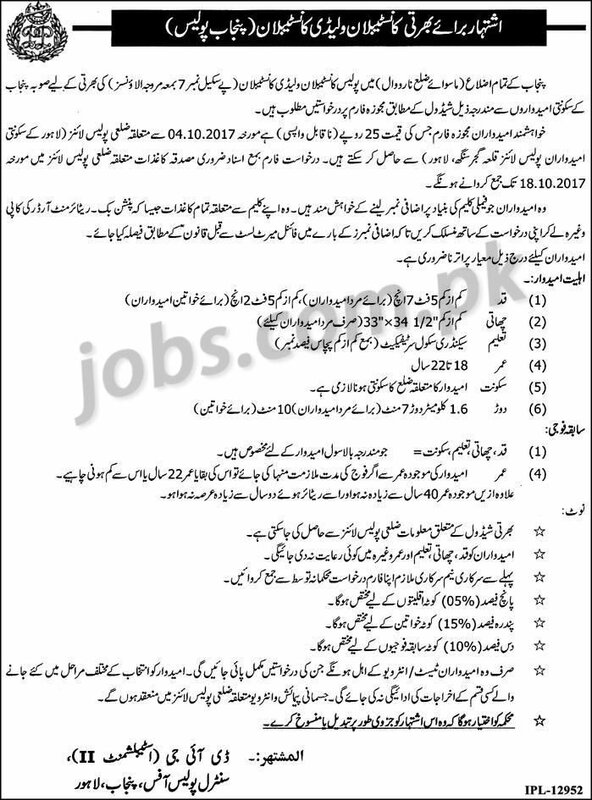 Recruitment details/schedule can be obtained from related District Police Line. Eligible candidates must obtain the application form from their respective police line and submitted along with required documents before the due date. Incomplete, late, hand written submissions/applications will not be entertained. Only shortlisted candidates will be called for test and interview. See the notification below to see vacancies/positions available, eligibility criteria and other requirements. Eligible candidates must submit applications on or before 18th October 2017.